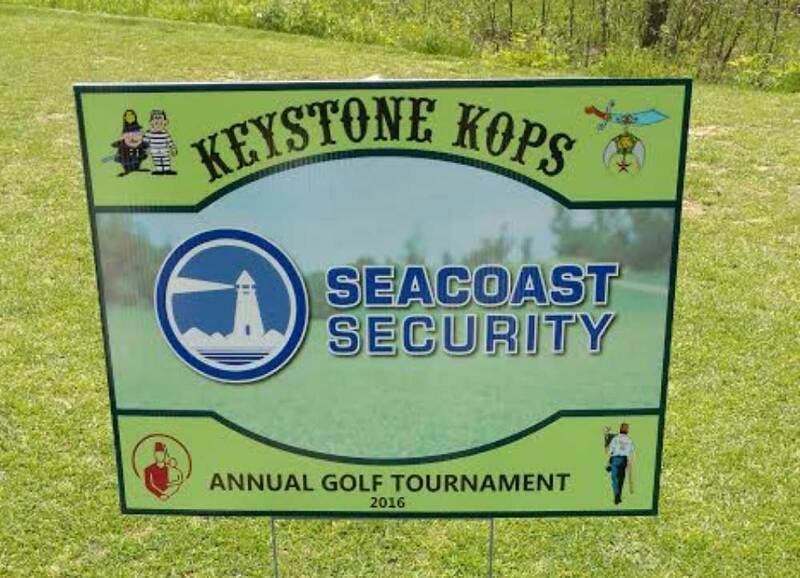 On May 22, three Seacoast Security family members at our Bangor branch participated in the Keystone Kops Annual Golf Tournament at the Hermon Meadow Golf Club. The fundraiser attracted 108 golfers from around the state. All money raised from the tournament has been donated to Anah Shrine to support the Shriners Hospitals for Children in Springfield and Boston, Mass. The Bangor Anah Shriners are dedicated to helping hospitalized children by hosting many events throughout the year to help raise money for Shriners Hospitals for Children. These hospitals focus on children with severe burns, complex skin conditions, orthopedic and neuromusculoskeletal disorders and diseases, as well as cleft lip and palates. Seacoast Security is happy to help the Shriners reach their philanthropic goals. If you weren’t able to join in the fun and would like to donate, please visit the Bangor Anah Shriners website, anahshriners.org.